Features: The autoclavable, GLP-compatible InBreath bioreactor is designed for cell seeding and culturing on intraluminal and extraluminal surfaces of a tubular matrix. 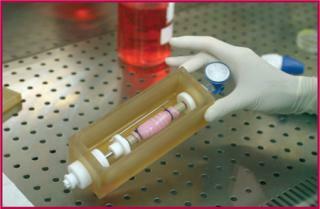 A polymer culture chamber houses the scaffold and culture medium for the entire duration of organ generation. Secondary “paddle” elements move with the scaffold holder to mix the culture medium continuously for mass transport and oxygenation. The scaffold construct rotates by a motor that is completely separate from the culture, with a detachable connection. Features: Kleenpak sterile disconnectors are designed to maintain sterile integrity (even in cramped and uncontrolled environments) before and after tubing separation. A patented locking mechanism eliminates risks associated with clamping and cutting, requiring no tools, calibration, or maintenance. Disconnection takes <30 seconds, with sterility of separate fluid paths maintained throughout. This facilitates secure fluid transfer, preserves product integrity, improves operator safety, and reduces product waste. Originally introduced in 0.500-in. diameter, these disconnectors now come in 0.375-in. and 0.25-in. sizes. Features: PendoTECH’s Virus-DepthFiltration system enables complete process control with preprogrammed functions. Equipped with a real-time monitor and built-in alarms, it uses PendTECH’s single-use pressure sensors, tubing pinch valves, a single-use flowmeter, and noninvasive air detector to increase process efficiency. Strict pressure limits prevent high-pressure failures. The company provides IQ/OQ validation templates as well. Features: Thermo Fisher Scientific has created an online resource center for separation scientists to get technical advice when they need to resolve common problems with liquid and gas chromatographic (LC, GC) as well as solid-phase extraction protocols. The interactive “Troubleshoot an Issue” tool makes technical expertise immediately accessible through a list of common symptoms. The site also includes a newsfeed, chromatography videos, a method-development calculator, a GC column configurator, and more than 150 application notes. Features: The FACSJazz system from BD Biosciences occupies 20 × 20 in. of bench-top space and can isolate and target cells based on up to eight parameters. It precisely identifies, characterizes, and isolates single or multiple cells and deposits them into 96-and 384-well plates or tubes. 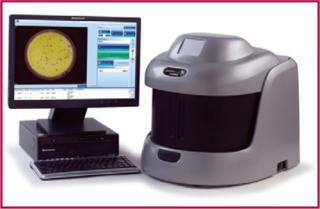 Incorporating customer input from a 2011 early access program, BD refined instrument usability and added a violet laser and pulse-processing capability to enhance live–dead cell discrimination and cell cycle analysis. 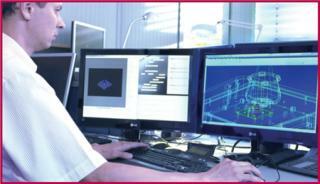 Digital controls, factory-optimized settings, and BD FACS Sortware software all simplify sorting protocols. Red and violet lasers are optional; blue lasers come standard. Features: Critical Process Filtration’s redesigned website is organized by user market and offers an expanded literature library for the biopharmaceutical, food–beverage, and electronics industries. Information on liquid and gas filtration applications — from pharmaceutical sterilizing filtration to simple water clarification and tank venting — also can be explored on the basis of filter membrane and media type. 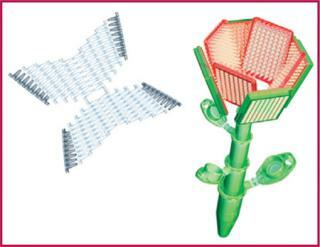 For example, the company details how PES, PVDF, Nylone 6-6, and other materials can be applied. The library of data sheets (for cartridge filters, capsule filters, and flat-disk laboratory media and membranes) is expanded. Features: Eppendorf provides a behind-the-scenes look at its production of lab consumables to offer insight into the associated quality control. All the complex, fully automated product manufacturing is performed under class 6 cleanroom conditions, with strict internal and external procedures to ensure precision and quality. Consumables product manager Sirkka Scheef explains that such procedures are intended to reduce the risk of experiment failure, scrappage, and lost time for users. Features: PreSens uses high-throughput methods in customized sensor engineering to help biopharmaceutical companies develop miniaturized and parallel processes. For example, the company helped a client find an easy and cost-effective method to determine oxygen permeability of synthetic materials used in processing. A modular approach facilitated scaling down of production processes to milliliter volumes for monitoring pH and dissolved oxygen in a high-throughput method. PreSens helped another company determine how to monitor pH simultaneously in a large number of cell culture tubes. Features: The ProtoCOL 3 system from Synbiosis can automatically analyze antibiotic and vaccine potency based on count and zone data. It can read 30-to 150-mm plates and detect colonies as small as 43 µm in measuring zones down to 0.1 mm. A unique tricolor imaging method helps users distinguish grid lines on filters from colonies as well as count black colonies on dark media. Pharmacopeia-compatible software can be added to the basic software for statistical analysis. 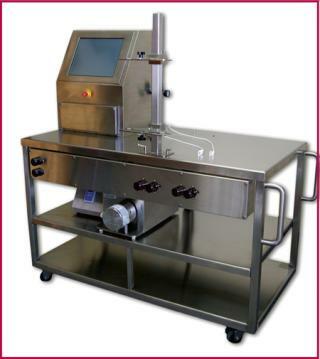 The system comes with a dedicated computer or can be used with existing laboratory technology. Features: Spirax Sarco has expanded the motive pressure range of its Pivotrol PTF4 pump, replacing two previous versions (PTF4L and PTF4H) with a single unit. It can be operated by steam, air, or other pressurized gases and handles pressures ≤200 psig. Designed to reduce maintenance and industrial energy consumption, this pump incorporates dual mechanisms with PowerPivot technology. An integral electronic cycle counter monitors performance. Vent-assist valves release pressure during exhaust for fast filling and overall cycling (and thus higher capacities). Features: The Sartopore Platinum filter family from Sartorius Stedim Biotech has polyethersulfone membranes modified with a thermostable, hydrophilic polymer for improved wetting properties (with <5 L of WFI) and minimized protein binding. TwinPleat geometry increases the filter area of a 10-in. cartridge by >60% over other designs. Liquids flow through the entire filter area so that the filtration capacity is used to its fullest extent. Cartridges can be dry-steam sterilized in forward or reverse direction and used over the entire pH range (1–14) for all bioprocess unit operations. With linear-scale-up in mind, all sizes use identical materials and consistent performance characteristics. 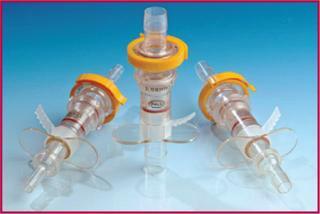 Features: 3M has expanded its portfolio of encapsulated Zeta Plus depth filtration capsules. With 170 cm2, 340 cm2, or 1,020 cm2 of filter media, Scale-Up capsules are suitable for intermediate scale-up studies and laboratory-scale production. They feature 0.5-in. sanitary connectors, fluorocarbon O rings, and <40-mL hold-up volume after blow-down. The Encapsulated line has added 3M's SP, LA, LP, ZA, and DELI media grades. They come in small single-cell (0.23 m2 filter area) and large multicell (2.5 m2 area) capsule configurations.